Insulated Garden Rooms and Offices tailored to your needs. At Bothy Garden Rooms we are committed to designing and building bespoke garden buildings to the highest of standards using only quality materials. With a fully insulated timber frame structure and choice of Aluminium or UPVC double glazed windows, our rooms are usable throughout the year, not just the warmer months! 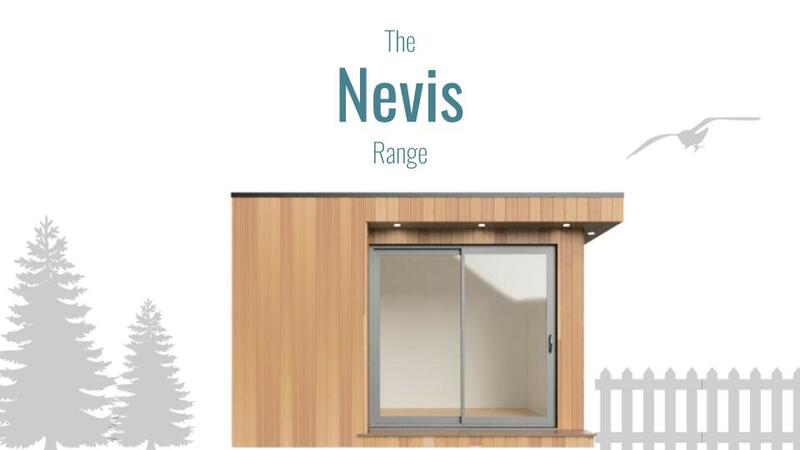 Explore our range of garden rooms below to see what we can offer. Based in Central Scotland, we will deliver and install our buildings throughout the country. Please get in touch if you'd like to learn more. Excellent quality, communication and service. Competitively priced with no hidden charges. The whole experience has been professional yet personal from the very first meeting to the finished build. Stephen and his team all work to the highest standards with no shortcuts taken. An honest, trustworthy and reliable company that do deliver exactly what they say they will. Because Bothy Garden rooms are able to built bespoke we were able to get a great sized room that suited the space we had available. Our Macdui has become a studio for my husband to work, a cosy area for my daughter to play and a quiet hideaway to escape with a new book. We couldn’t be happier with our Bothy Garden Room. Each and every one of our buildings are designed from the ground up specifically for the end user. This means you are in full control of all aspects of your build. Whether you are looking to enhance your garden with a garden office, an artists studio, home gym, cinema room, golf simulator room or relaxation area, we can bring your ideas to life no matter how you plan to use your garden room. Whether your idea of fun is to pump iron or a shoot pool with friends. A purpose built gym or games room will provide the good times. Add in a decked area with a hot tub for the ultimate garden entertainment space. Everybody loves a bit of peace and quiet from time to time. Chill out with your favourite book or watch a film in your own cosy little garden room. Why not remove some walls and enjoy your garden in one of our outdoor rooms? What to expect from a Bothy Garden Room. No matter what stage you are at when planning your project, we are on hand to offer advice on all aspects of the design and build so get in touch today for an informal chat. We will design your garden room to suit your requirements and to maximise use of its surroundings. No project is too big or too small, we love a challenge! It is our priority to maximise the use of your garden space in an efficient manner. We will also take into account factors such as the style of your house and the outlook of your garden. From here we can customise each design to come up with the ideal solution. Our garden rooms are supplied with high specification rigid Polyurethane insulation within the walls, floor and roof as standard. This combined with a choice of Aluminium or UPVC double glazed windows will provide a comfortable environment within your room, making it useable throughout the year. We believe that your garden room should perform as well as, if not better than a house. We can advise you on the rules and regulations regarding planning permission. In many cases, a full planning application will not be required providing the garden studio complies with the Permitted Development Guidelines. When a full application is required, we will assist you through the process and supply the relevant drawings. Likewise, when full planning permission is not required, it is recommended that you obtain a certificate of legal development. This can provide peace of mind and also come in handy if you decide to sell your property. Bespoke Garden Rooms - What do we mean? Welcome to Bothy Garden Rooms! Join our online community for updates and inspiration to create you're own dream space.